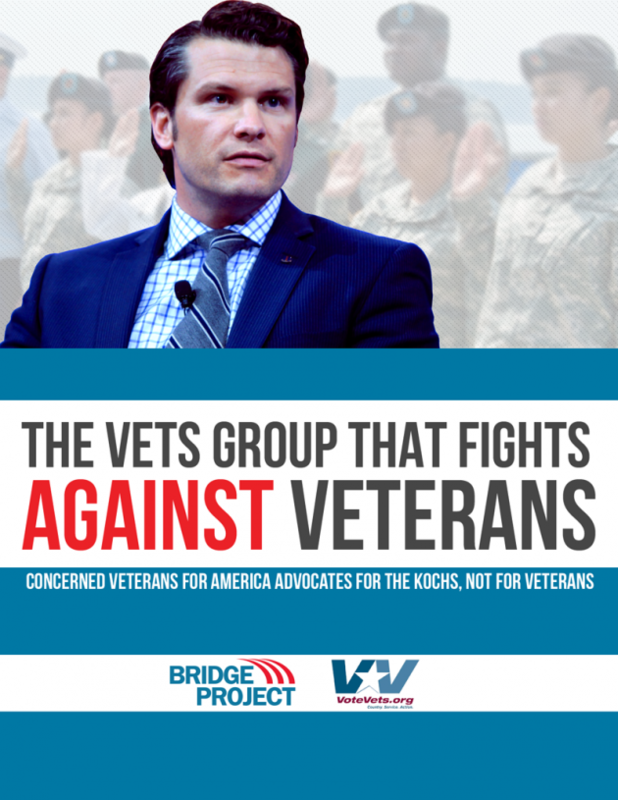 The shady group called Concerned Veterans of America is launching a six figure attack ad campaign against three Members of Congress including Representative Tim Walz (MN). But who is CVA and what do they stand for? 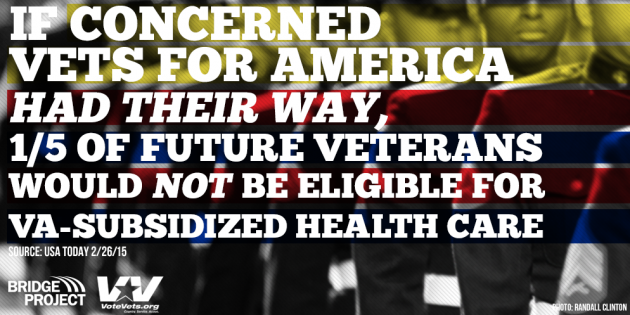 CVA promotes extreme right-wing policies that stand in opposition to nearly every other veterans group, as reported in the Military Times. 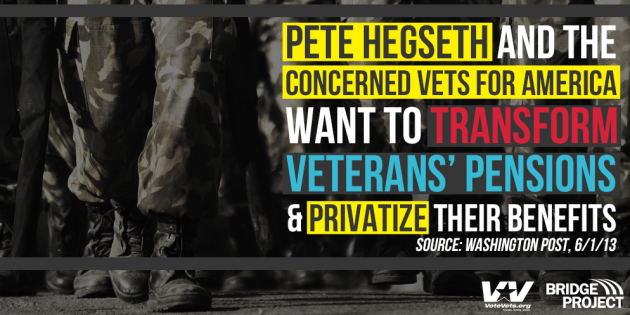 From pushing a plan to privatize the VA healthcare system to proposing a transition from the current military retirement system to a private 401(k)-like plan, CVA follows the radical conservatism of the Koch brothers, working to advance the billionaires’ self-interest at the expense of veterans. ​Bridge Project will be working with partners to hold CVA and the Koch brothers accountable as they plan to spend millions propping up GOP candidates and trying to buy elections.